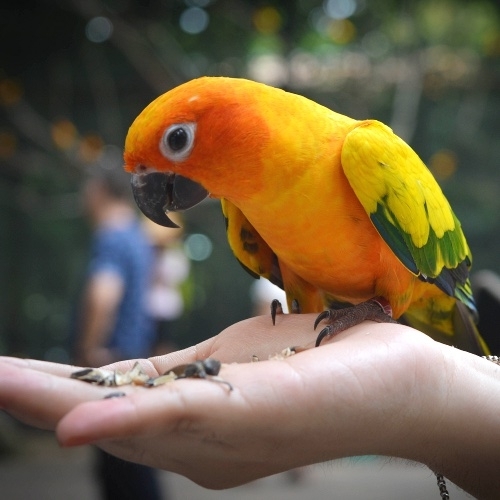 Birds of all sizes, such as parrots, are amazing pets, and if you provide them amazing care, they will be faithful companions for many years. The right cage is the ultimate in avian habitat, and proper toys and accessories will keep your pet bird entertained, well exercised and stimulated each day. Add to that a nutritious diet, feather-friendly grooming tools, suitable dishes, proper bedding and knowledgeable care, and your bird's happiness will soar.